29 Jan What Are Roles and Responsibilities and How Can They Help My Business? What Are Roles and Responsibilities and How Can They Help My Business? When startup businesses begin to achieve a measure of success, it becomes necessary to start adding structure to the way in which the business is managed. One of the areas that need special attention is human resources management and roles and responsibilities in particular. I have discussed the recruitment and selection process in another article -(What Is Topgrading and How Can I Use It to Hire The Best Employees?). However, before you can recruit successfully, you need to clearly identify why you are hiring people and what you expect them to do after they are hired. It is not sufficient to identify a bottleneck in the business and to look to recruit someone to relieve the pressure point. This type of short-term gap filling is clearly not a coherent business strategy. The process of defining a role in a business, and the responsibilities to be undertaken by a new hire, is best done before a bottleneck develops. In my opinion, this is best accomplished by using a template document similar to the one below. 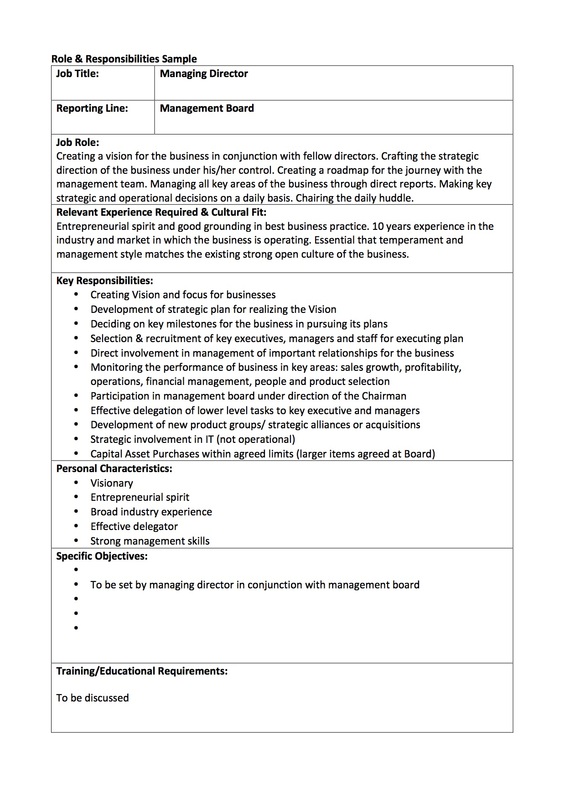 The sample template for a managing director shown above is for one particular business. Every business will be different and every element of the form should be reflective of the specific needs of your business, and should be customized to match your specific requirements. If you don’t already use this type of document in your business, you need to seriously consider completing one for every job role that exists. Including your own role. It takes away ambiguity and gives each employee a sense of purpose and direction. It will also help to identify where redundancies exist in the business as well as areas of the business that are not well served. 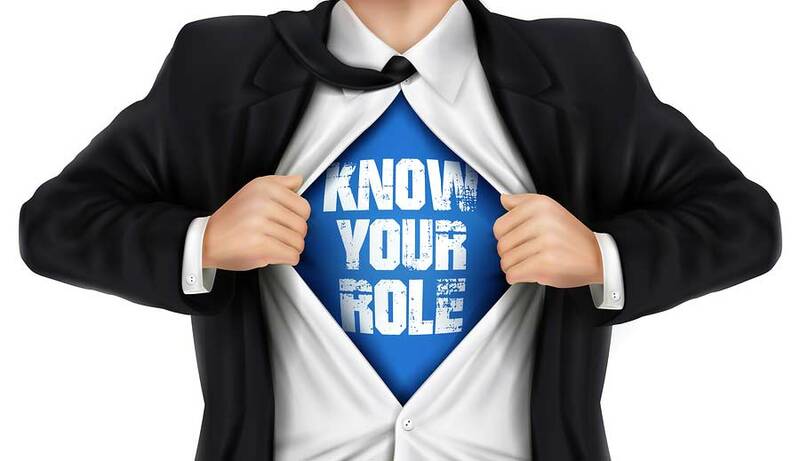 In essence, the full selection of all roles and responsibilities should match all of the activities carried out in your business at a macro level.